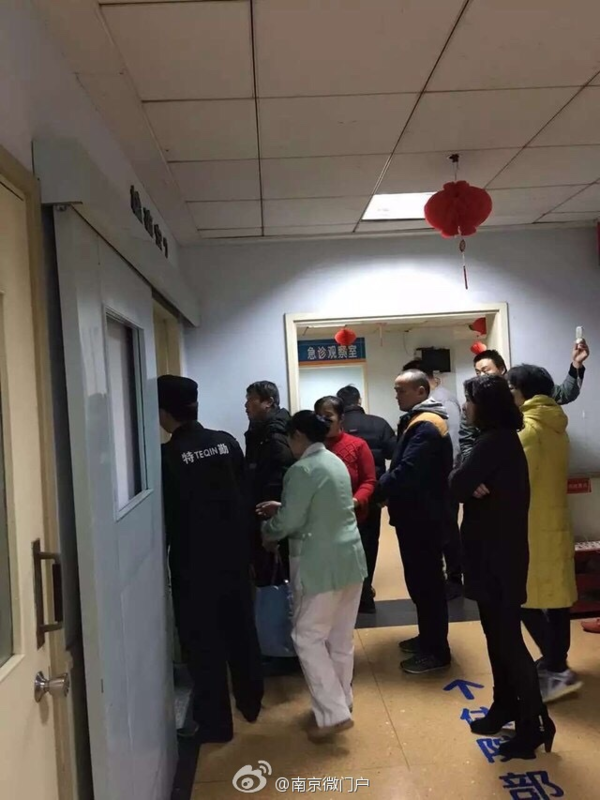 A Chinese hospital patient angry with his in-laws took a nurse hostage by holding a knife to her throat on Feb 18. The incident, which took place in the Jiangsu People’s Hospital in Nanjing, eastern China, lasted about half an hour. Photos taken at the scene show bystanders doing nothing or taking pictures with their phones. The hostage-taker, a 34-year -old surnamed Wang, was irritated that the police had previously ignored his personal feud with his brothers-in-law. 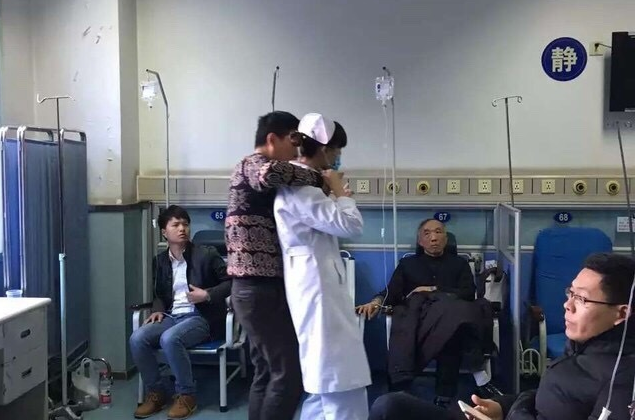 Before taking the nurse, a young mother in 20s, hostage, Wang had tried calling the police, said Ms. Zhang, a witness interviewed by Shanghai online media Peng Pai. When officers arrived, Wang demanded to see the police chief, but they paid him no heed and left. Then he backed himself and the woman into a room corner. Shen said that Wang didn’t want to hurt the nurse. Within five minutes the police arrived in force and evacuated all the other patients from the room, which was cordoned off. “They’re plotting against me!” Wang can be heard screaming in the video. Internet comments deplored the passivity of the bystanders.